Bicycles collected as lost property in Denmark are today disposed of as scrap metal and recycled by re-melting. Baisikeli ApS instead sends bikes to Mozambique where they are made ready for sale and sold locally. Thereby the bikes replace less durable new bikes, mainly manufactured in India. The purpose of the LCA (climate footprint) is to assess CO2 savings by recycling bikes in Mozambique relative to re-melt them in Europe. 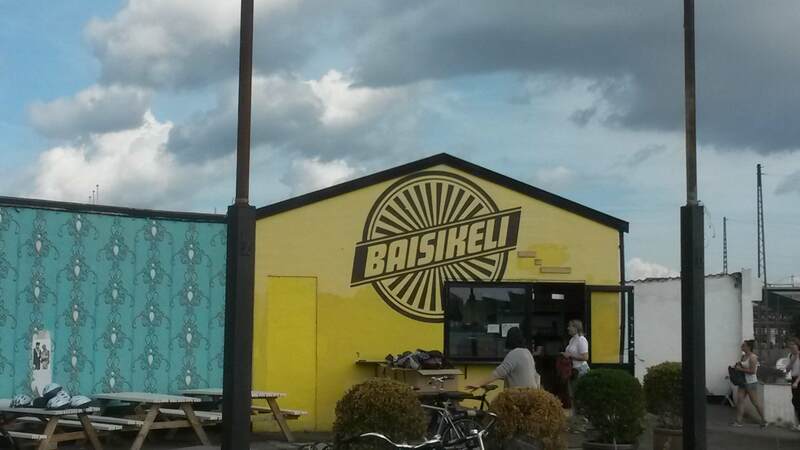 Photo: The baisikeli office, cafe and bicycle rental in Copenhagen. While the market for bicycles is global (as illustrated by the fact that the most typical bikes in Mozambique are produced in Asia, more specifically India), the very specific recycled bikes studied here are only sold in Mozambique, so the substitution will take place there. Information concerning the bicycle market in Mozambique was obtained from Baisikeli ApS (pers. comm.) and Baisikeli annual accounts 2012.